During his long career, Lee Foster has been an innovator in many aspects of publishing. He is the author of 18 published books, including five that are self-published. He inspires authors to self-publish. 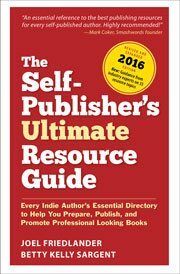 Readers of his independent publishing volume, An Author’s Perspective on Independent Publishing: Why Self-Publishing May Be Your Best Option, sometimes consult with Lee on their overall author path. Lee’s main content focus in his own work has been on travel guides, such as his Northern California Travel: The Best Options. He has also written literary and memoir books, including his Travels in an American Imagination: The Spiritual Geography of Our Time and Minnesota Boy: Growing Up in Mid-America, Mid-20th Century. He has published with traditional travel book brands, such as Lonely Planet and Dorling Kindersley, and has been featured in all the major U.S. travel magazines and newspapers, from Travel + Leisure to the New York Times. Lee delights in thinking of the future of electronic publishing. Two of his books have been translated into Chinese and are selling as ebooks in China, mainly thru Amazon.cn. Photography has been a major component of Lee’s monetization (he’s had photos in more than 300 Lonely Planet books, for example) and he makes effective use of his Nikon cameras as well as his iPhone. He advises authors who want to get started creating their own images for their blogs/websites and books, and encourages them to think long term of their opportunities to sell their photos as well as their writing. Lee does this through his agency, Alamy, and also through his direct-sale PhotoShelter site. Lee’s customers range from major magazines to individual bloggers, he believes that writers and authors who develop a photo competence for their website images could also set themselves up similarly to sell their photos.